Women's Schick Razors ONLY 32¢ Each at Target (Regularly $8) – Print Coupon Now! April 14, 2019 at 7:58 am PDT May contain affiliate links. Read disclosure. Through April 20th, visit Target to get three Schick Intuition f.a.b. Razors for ONLY 32¢ Each, or 97¢ all three! 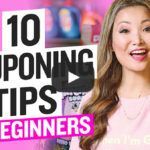 They are regularly priced at $7.99 each and after buying three, you can use two $4 off one Schick Quattro for Women, Intuition or Hydro Silk Printable Coupon and one $4 off one Schick Women’s Razor or Refill Cartwheel Manufacturer Coupon! Also submit three times for $2 Ibotta Cash Back and get a Free $5 Target Gift Card for purchasing select Schick Razors.